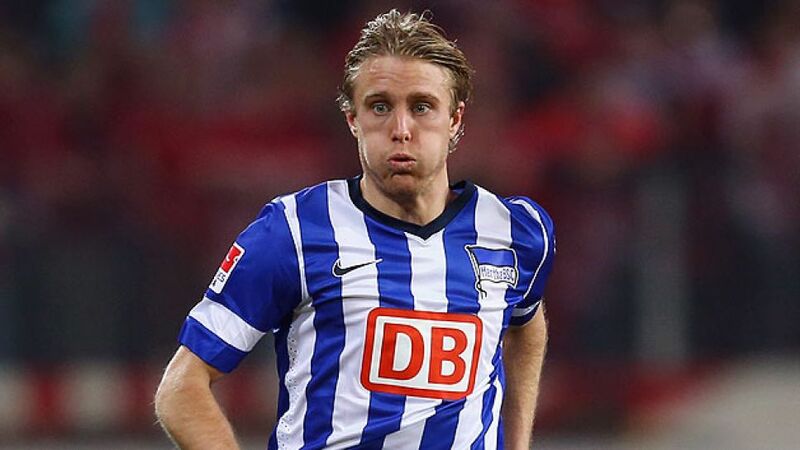 Mainz - Hertha Berlin's Per Skjelbred was relieved to have taken a point from the 1-1 draw at 1. FSV Mainz 05 on Sunday, with the hosts' Maxim Choupo-Moting left feeling rather frustrated by the result. bundesliga.com gauges the post-match opinion from the Coface Arena. Per Skjelbred: Mainz are a good team - just look where they are in the league. They're even stronger at home and we managed to take the lead, despite a poor first half for us. At 1-0 up we obviously wanted three points, but looking at the whole 90 minutes, then the result is okay. Adrian [Ramos] is an important player for us and he scores important goals. Sebastian Langkamp: I think we were lucky to get a draw. We played much better in the second half, but looking at the 90 minutes we can be very pleased with the point. We showed we can score with only a few chances but we needed to defend our lead better. Maxim Choupo-Moting: We had the better chances and if we'd won, it would have been deserved, but after going a goal down, you have to be happy to get a draw. We should have been more clinical in front of goal - Hertha were much better than us in that respect today. Christoph Moritz: We created some good openings and we could have taken the lead. After the break, we went to sleep for a split second and in the Bundesiga, anybody can beat anybody. I'm happy with the point, even though it's frustrating the way we switched off for those first 10-15 minutes of the second half.